These Express Teams are making headlines! 22-May-17 Dynamo B98/99 Hold on to State Champion Title! They did it again! Express' own Dynamo B98/99 are the President's Cup State Champions! 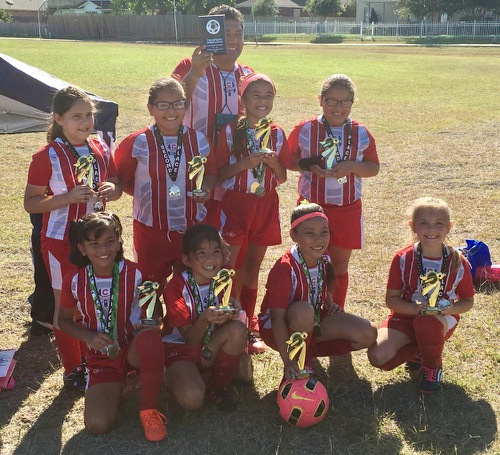 This weekend they were undefeated in their quest, beating Houston Express with a score of 5-1 Saturday and then tying Mission City on Sunday with a score of 1-1 and taking the title with their the goal differential. Congratulations to all the players, coaches, and parents! 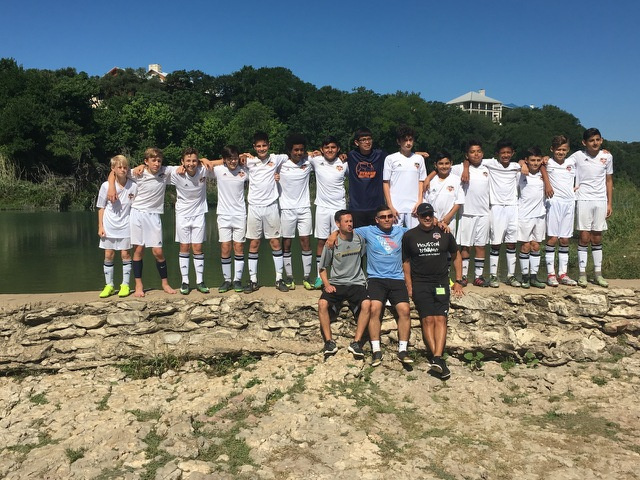 This weekend, B04 climbed the mountain to State playoffs for State Cup with the help of their coaches Aidan Perales and Erik Torres. This weekend, the team had an incredible shootout with Pflugerville's One World. Goal Keeper Luis Macias saved three shots and got his hand on one out of six. The team only missed two of their six shots. The team will now advance to compete in the State Playoffs for State Cup Memorial weekend. Good luck gentlemen! You've got this! 07-May-17 B04 State Cup Semi-Final Bound! 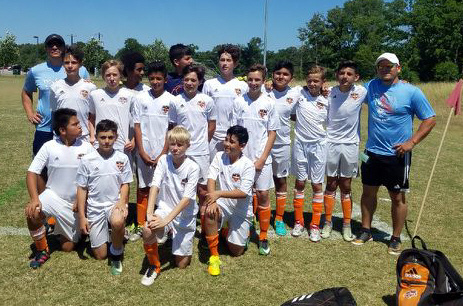 Congratulations to Express Dynamo B04 for an undefeated weekend. They will be playing this next weekend in the District Semi-finals for State Cup. Go Dynamo!!! The U18/19 boys were undefeated this weekend and will advance to the President's Cup State Championship to be held in two weeks! Good luck Dynamo! 30-Apr-17 Dynamo G02 - STX Cup Champions! 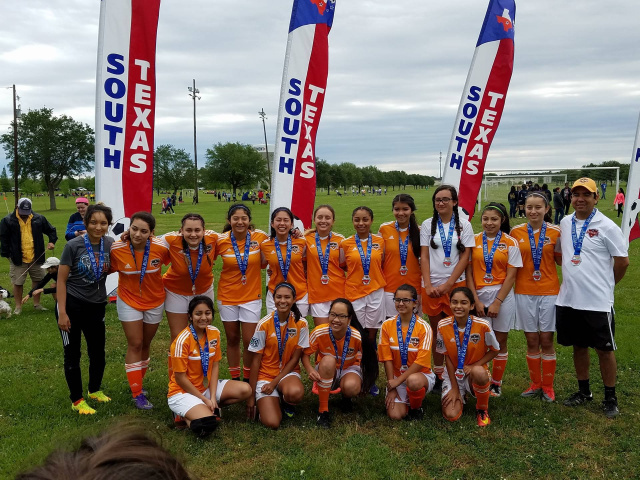 Congratulations to our U16 Dynamo CB G02 girls for winning the South Texas State Cup! It was a winning weekend for Express Soccer at the U10 Playoffs that were held this weekend in Portland. Congratulations to all of our Express teams who competed. Express B07 Lt Blue KC Sporting won 1st in the bronze bracket. 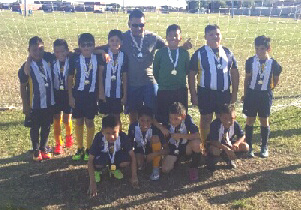 Express B07 Blue LA Galaxy took 1st in the Gold bracket. And Express B07 Gold Barcelona bring home 2nd place in the silver bracket. Our teams competing in Director's Cup did well! B12 Orange - Coach Freddy Murillo won their first two games, but lost the 3rd with Granite County and that team advanced to quarterfinals. 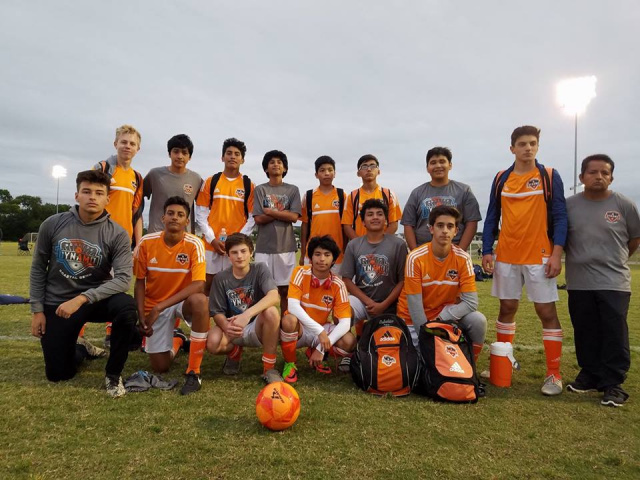 B15 Orange - Coach Fredy Castro won all three games yesterday but were defeated this morning at 11 am vs Austin Chelsea in quarterfinals. 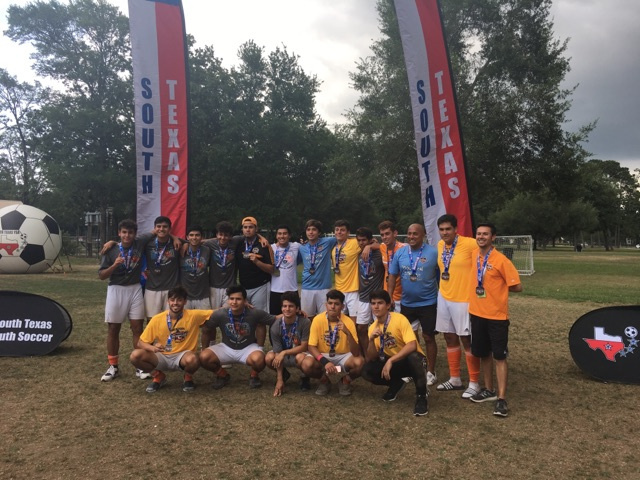 G16 White - Coach Alfredo Diaz didn't have a Western District weekend (only 3 teams) and will be competing in State next weekend as well. 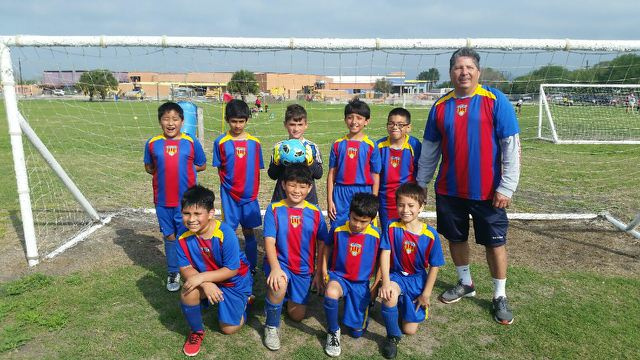 B13 Orange - Coach Aidan Perales will be competing in State Cup starting next weekend. 16-Apr-17 Express G10 Chelsea takes 2nd! 09-Apr-17 Dynamo G05 Take 2nd! 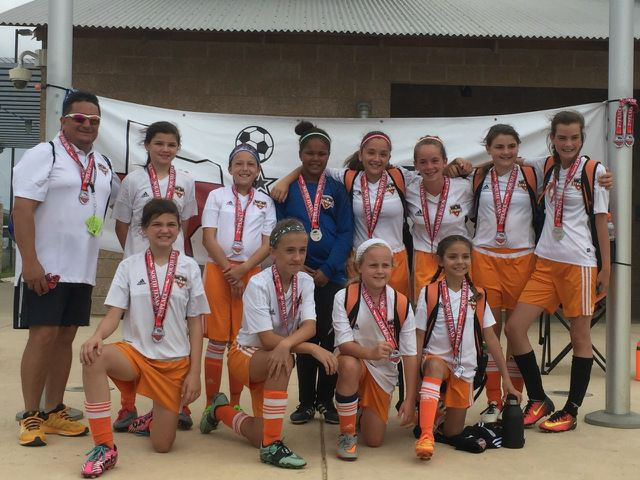 Congratulations to Dynamo G05 White (U13) for their 2nd place standing in Western District South Texas Cup! Congratulations to former Express Dynamo CB G97 players Katie Morton and Tierra Wirick who both were 2016 CBYSA Scholarship recipients. 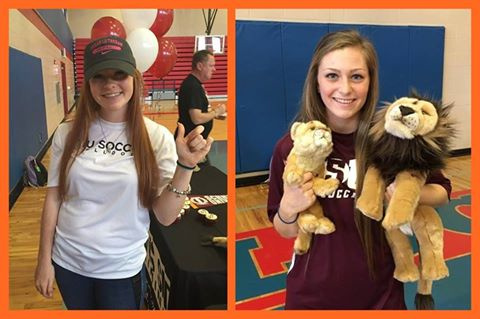 Thanks for representing Express Soccer well ladies! 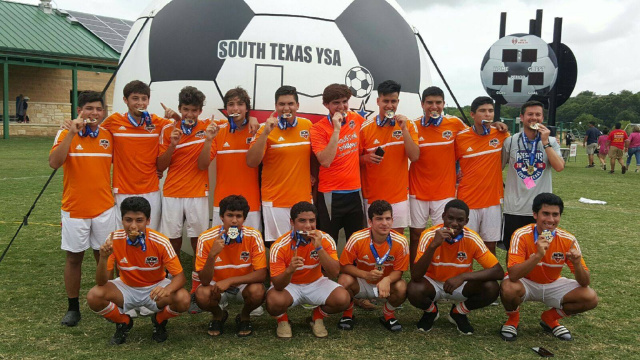 18-Jun-16 B99 is STX President's Cup State Champion! 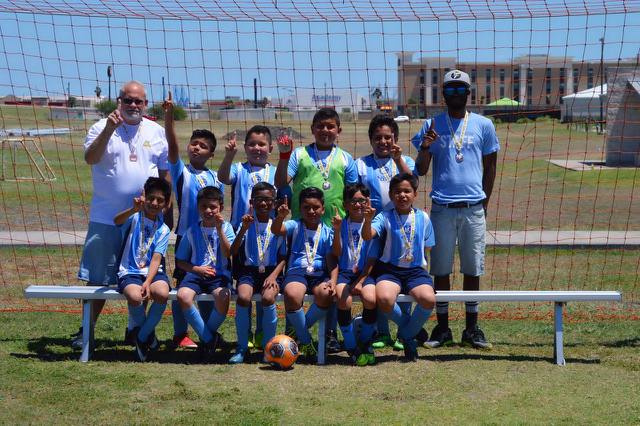 This year, Dynamo CB B99 made Coastal Bend history! 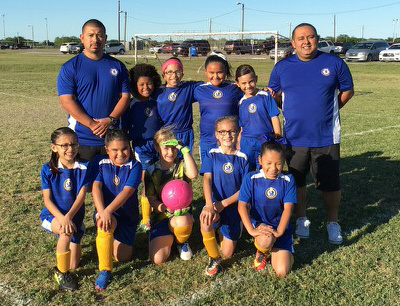 They are the first team from the Coastal Bend to become President's Cup State Champion and to advance to Regional competition. After advancing to Regional competition, they placed 3rd in their bracket. The team (players, parents, and coaches) and Express Soccer Club are extremely grateful for all of the support received from the community and other local clubs. This was an amazing experience for these young men and an exciting addition to the record books for the Coastal Bend.